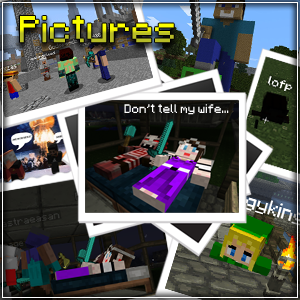 Minecraft Addicts Media - Click an image below. 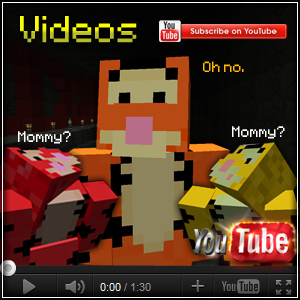 Every few months our staff does put out a few minecraft videos when we can. Visit our videos page and enjoy the film clips we have setup there. Pictures here! Get your pictures here! Post or view pictures that users in our community have taken or created. All the images found in this library is all from our server. Once in a while our staff decide to go ahead and Live Stream important events or even major projects to help everyone understand whats going on. 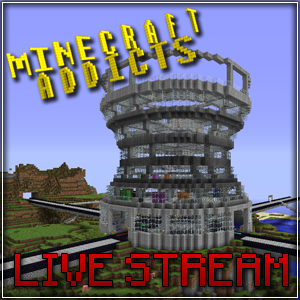 Always tune in when you see us talking about live stream on the server.